The new Dodge Durango offers Stamford drivers best-in-class towing capacity of 8,700 pounds with the available 6.4L HEMI® V8 engine, and features like Trailer Sway Control for peace of mind. Explore our inventory of highly capable Durango models at Garavel CJDR, then contact us for a test drive! When you are ready to take a new Durango home, apply for financing online to get the process started. 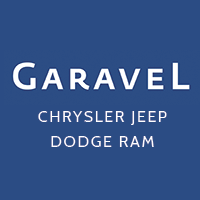 If you want to expand your search, check out all our new Dodge inventory at Garavel CJDR!